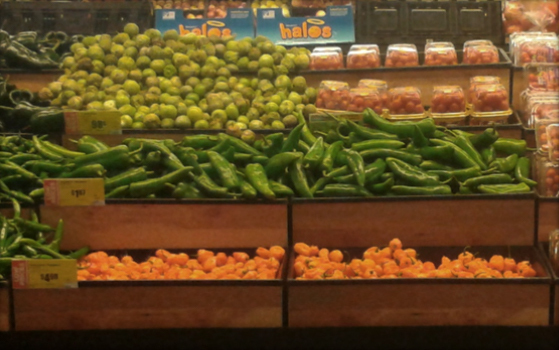 These bins were originally developed to meet a need in the grocery food industry. In our travels we have learned from many people that there are numerous applications in other industries as well. 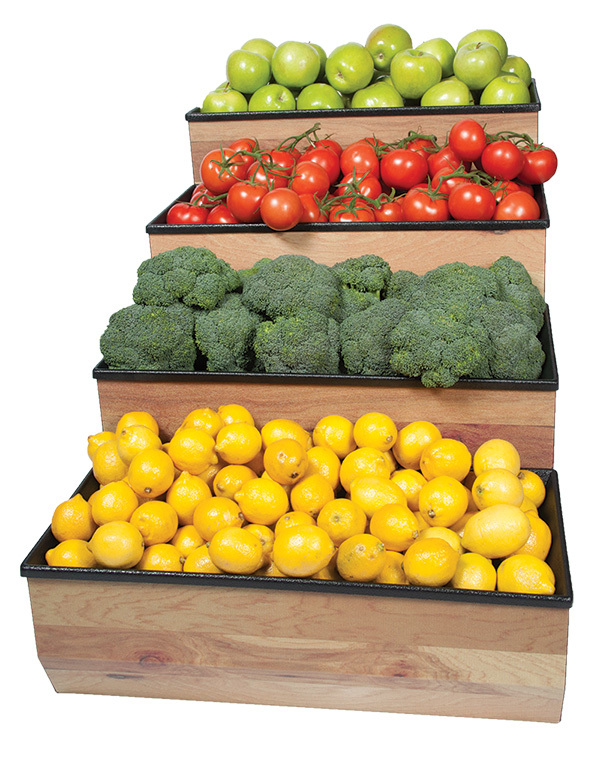 Developed for grocery stores for fruits and vegetables and craft display holding bins. 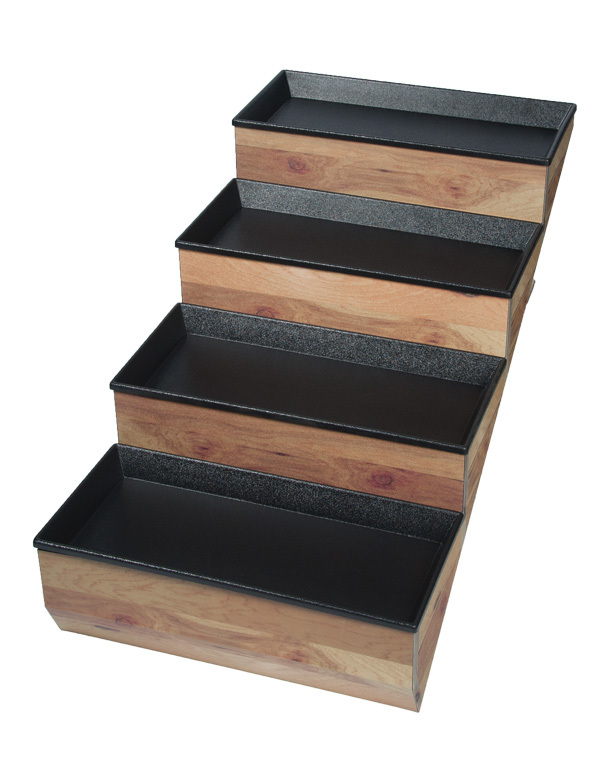 4 bin custom 3D printable design store bins, Durable ABS plastic. Each tray is 22” x 10” and easily pops out for cleanup.